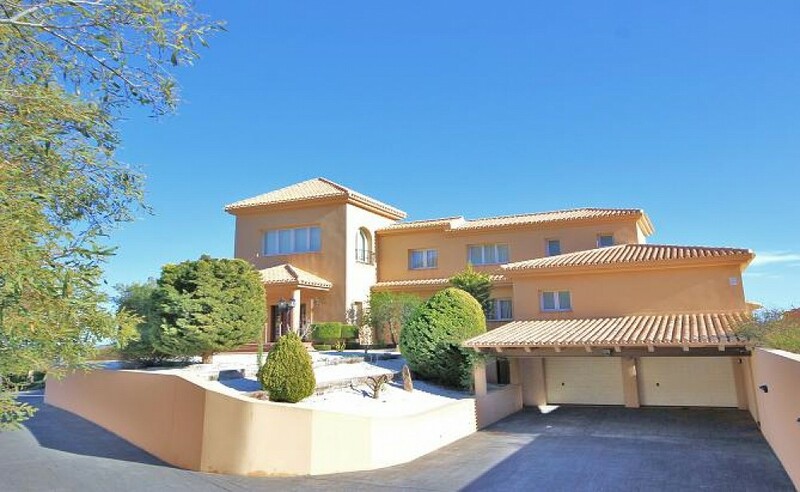 Set in an elevated position this villa enjoys the most amazing views, virtually 360 degrees of Sea, Golf Courses and mountains. The living and Dining rooms have been designed to capture this incredible scenery. The garden of the property faces directly south and therefore benefits from all day sunshine all year through. The pool and terrace have this sunny orientation and there is a large undercover dining area providing the necessary shade for Al Fresco dining. The villa has five bedrooms, all with en suite facilities. In addition there is a games room, a second sitting room and other areas which combined could become an additional apartment. The large plot is easily maintained and entry is through private gates where there is considerable guest parking and a very generous double garage.